What's more, it is non-comedogenic and clinically proven hypoallergenic! 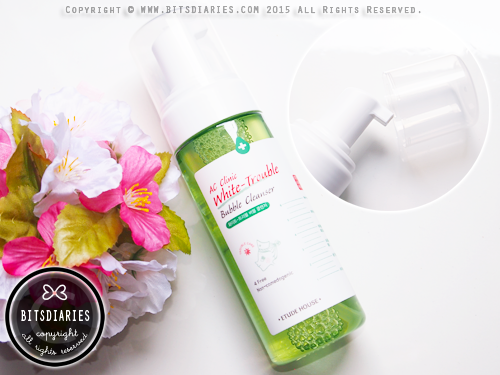 The product comes in a plastic bottle with a pull-out (?) cap. 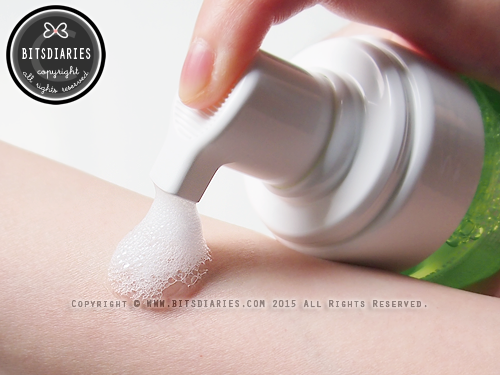 It has a smart pump dispenser that creates an airy, soft and fluffy foam. Cool, isn't it? 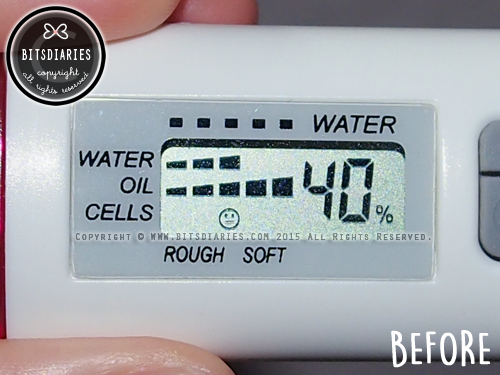 The micro-bubble particles penetrate and cleanse deeply into the pores, drawing out excess oil and dirt. Pump out an adequate amount of foam on hands. Massage the bubble on face evenly then wash off with lukewarm water. 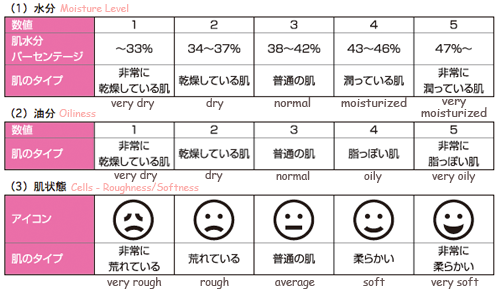 Skin's moisture decreased from 40% to 38%; remained at 3 bars. 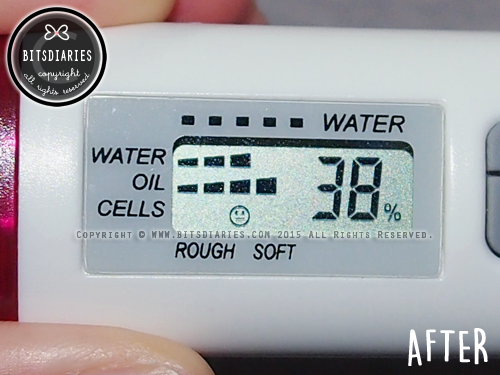 The first thing I noticed was my skin didn't get that squeaky, tight feeling or irritation after cleansing. And it dried out my non-inflamed pimples in a few days, but it wasn't very effective against my inflamed pimples. Therefore, in my opinion, it is more effective against non-inflamed pimples like whiteheads, flesh-colored bumps. 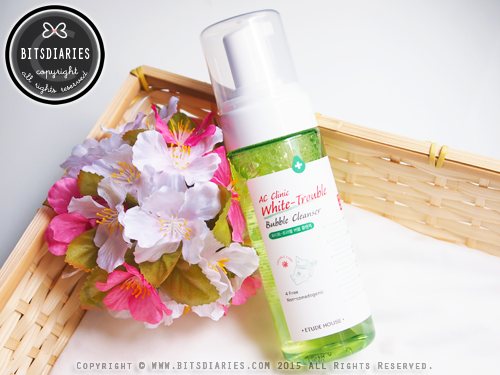 Another thing I noticed was that this AC Clinic White-Trouble Bubble Cleanser gets used up faster than the AC Clinic Daily Acne Foam Cleanser, even though they have the same amount of product (150ml). So it may be a bit costly lah. Side information: I usually use one pump and it is sufficient to cleanse my face. 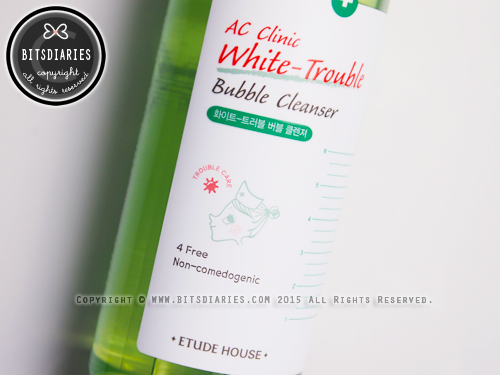 Overall, the Etude House AC Clinic White-Trouble Bubble Cleanser cleanses the skin without overly stripping away the natural oils and moisture. I think it is by far the most gentlest acne cleanser I have ever come across. Ideal for sensitive skin! The only drawback is it's not very effective against inflamed acne. If you have a lot of red inflamed pimples, I would recommend the AC Clinic Daily Acne Foam Cleanser instead of this bubble one. Pick this only if your pimples are mostly non-inflamed zits.